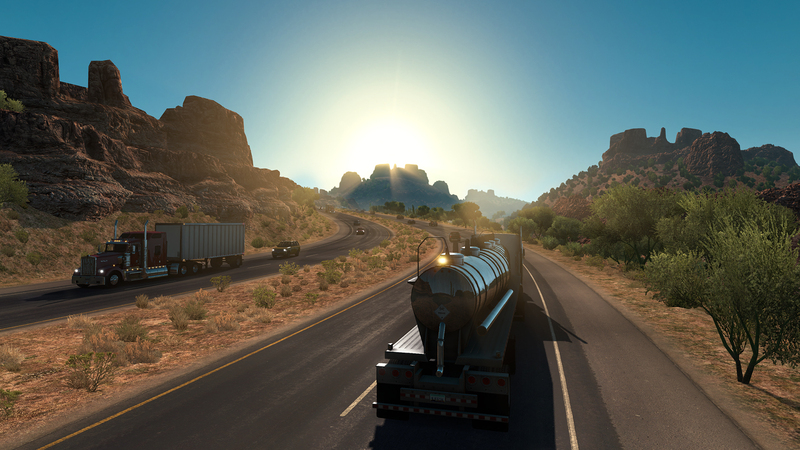 If you are captivated by the Grand Canyon, you can explore it with American Truck Simulator Arizona. 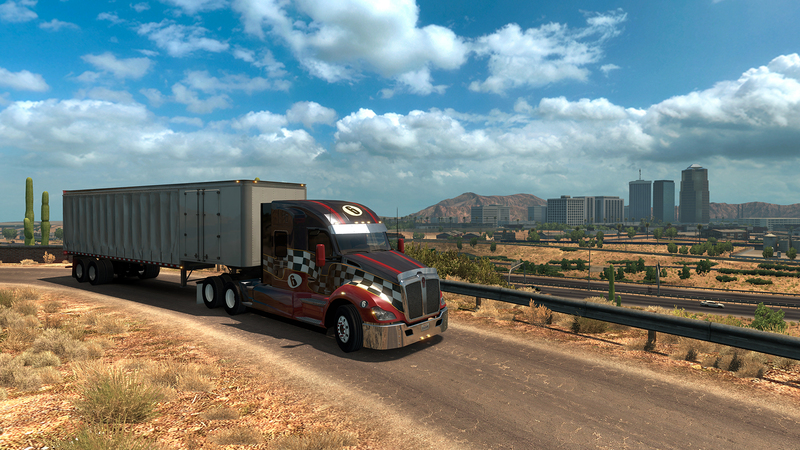 You will also get a chance to get introduced to the biggest cities such as the capital city Phoenix. You will be amazed by the landscape of this corner state because it is extremely diverse. 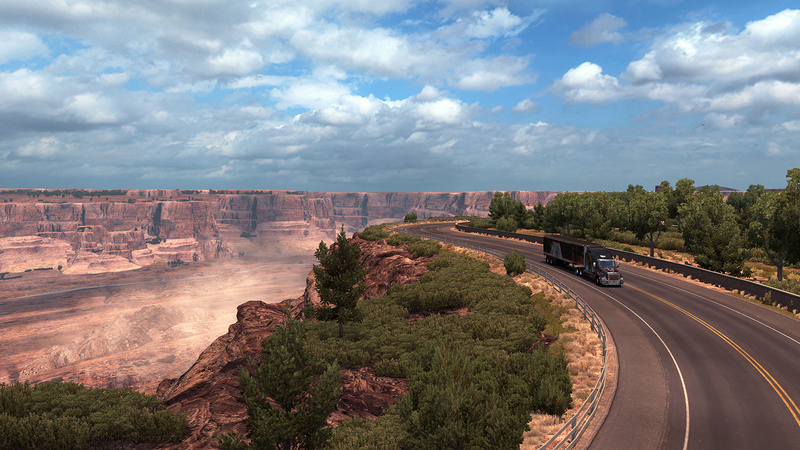 All kinds of nature can be found in our American Truck Simulator Arizona DLC, such as mentioned canyons, forests, mountains and deserts. The state of Arizona is one of the biggest state across the USA. It is also famous for the density of people – Arizona takes 14th place in the list by number of its citizens. Because of its size and location, the weather conditions can differ a lot. For example, you can expect high temperature in summer in southern part, while it is not so extreme in the North. This can be explained by the differences between the nature in these regions. 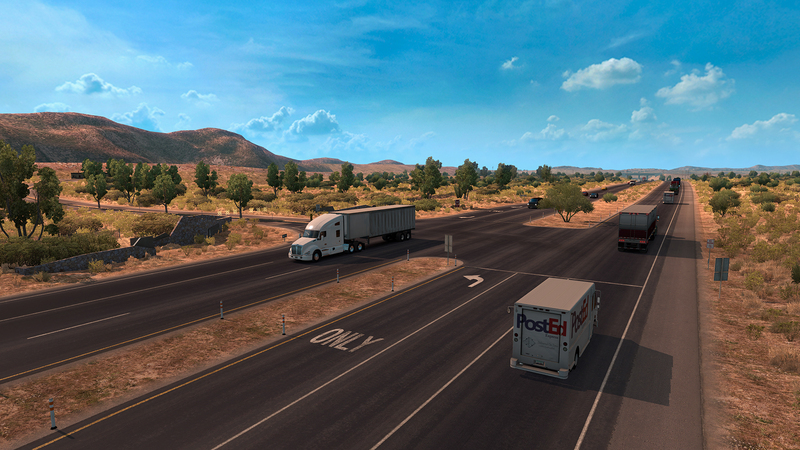 While exploring our American Truck Simulator – DLC Arizona the North surprise you with huge forests and mountain ranges. You will also experience some extreme weather conditions, such as snowy winters in the North. Adding up the burning hot summers in the South, challenges can be quite tough. But you wouldn’t have chosen ATS Arizona, if you were not ready for the adventures! Believe us, you won’t be bored even for a second. 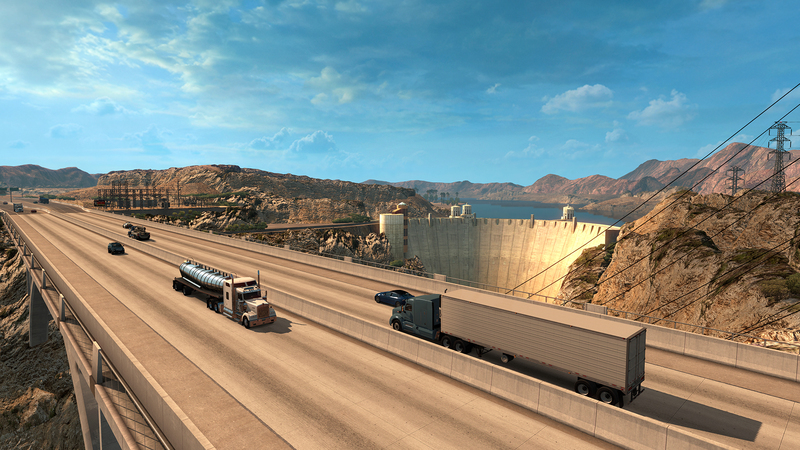 The landscape that you will find in ATS Arizona DLC is simply amazing, there is so much to see and to explore! You will not only improve your skills but also expand your field of knowledge about this unique state of USA. What could be a better way to experience the location than through the position of driver? There is a lot you need to see, so take a look at our new version of the game and let it captivate your attention. This is a perfect time to broaden some horizons! Availability to unlock accomplishments of Arizona!